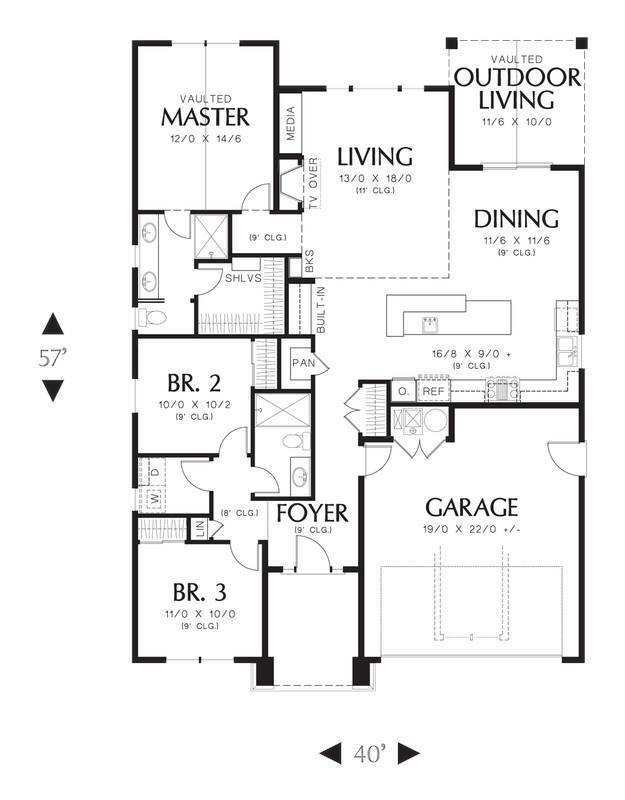 First Floor: 1529 Sq. Ft. 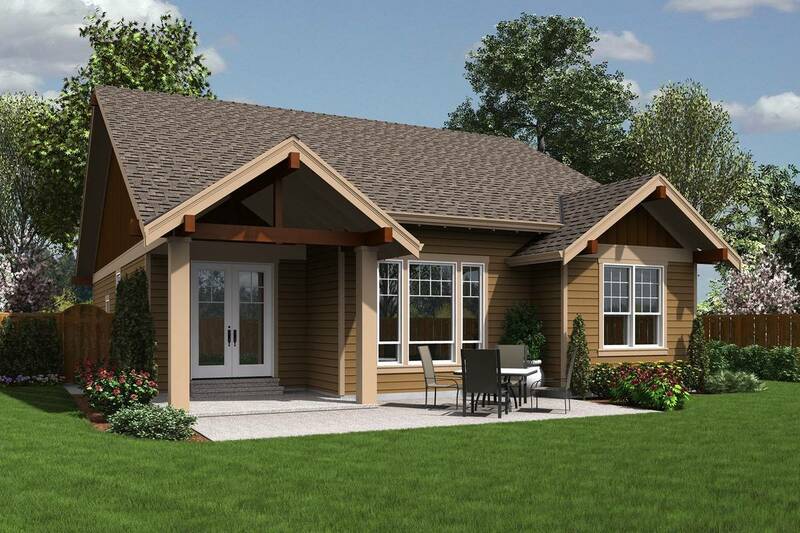 This plan offers all the charm of a mountain lodge yet is designed for an urban setting. 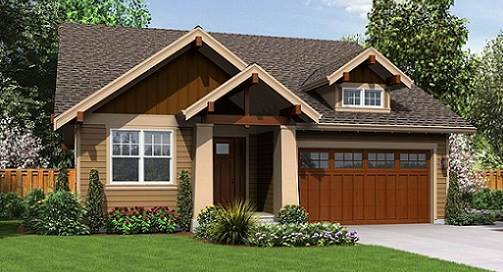 Affordable and efficient with outstanding curb appeal achieved by the well detailed exterior design makes this plan a winner. 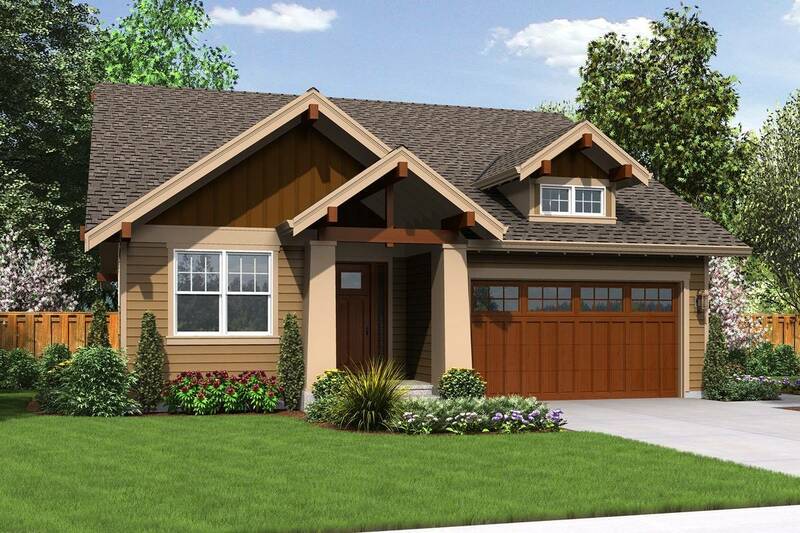 The foyer leads to the generous great room designed for easy entertaining. The great room includes a living area with a raised ceiling and a large window wall to capture the view, a large island kitchen with walk-in pantry, and dining area that opens to an 11/6 x 10/0 covered vaulted outdoor living room. 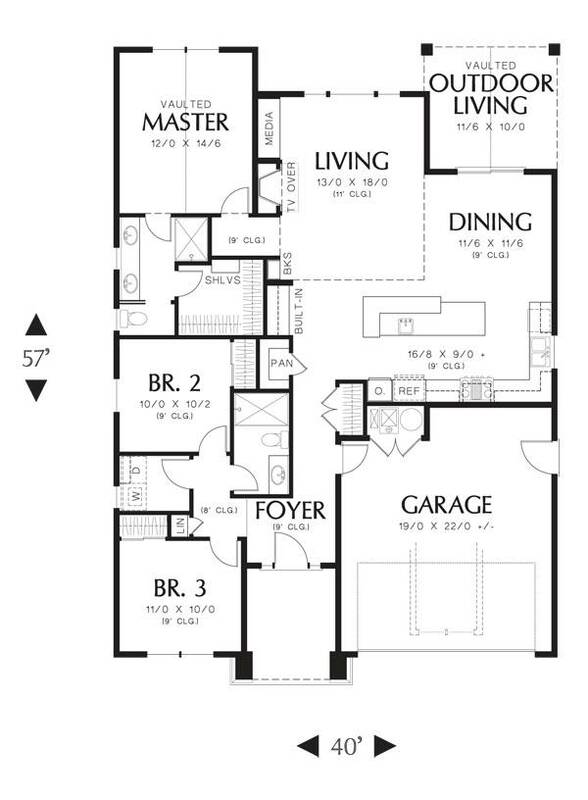 The master suite features a walk-in closet and double vanity not usually seen in a house of this modest size. 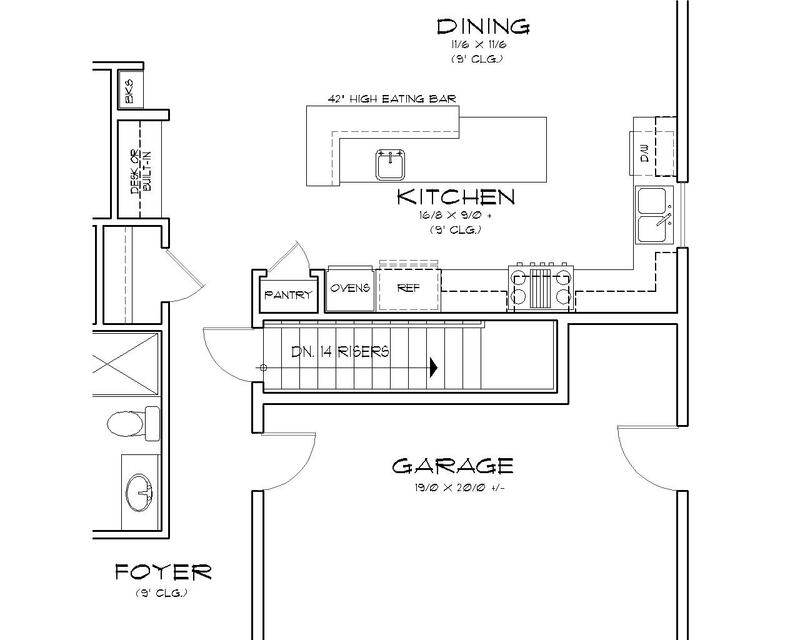 Two additional bedrooms and bath complete the floor plan. 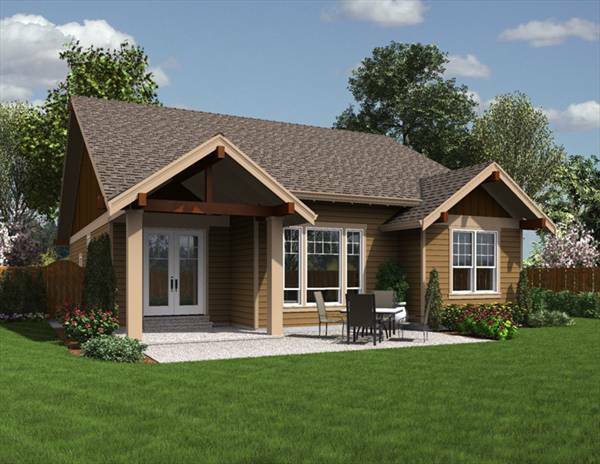 The Espresso is the perfect house for empty nesters, small families or singles.